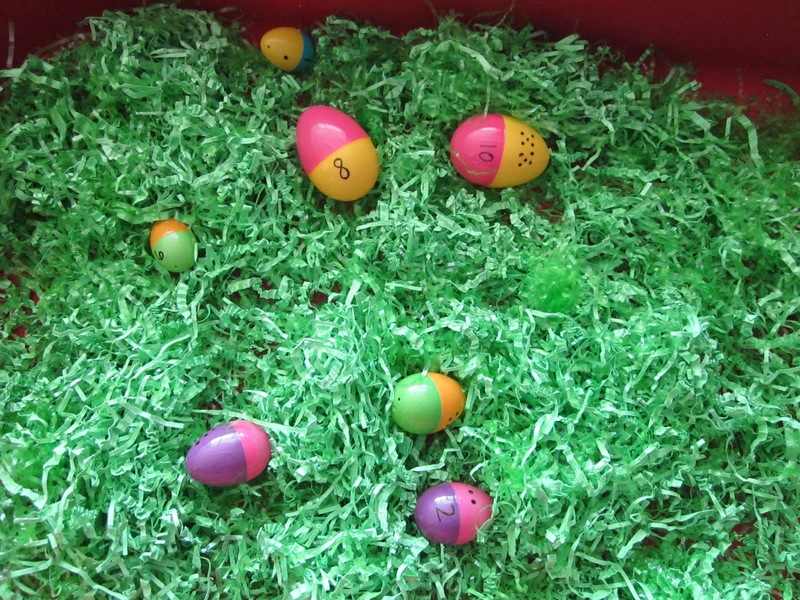 Have you seen the Easter eggs activities all over pinterest? There are so many activities you can do! 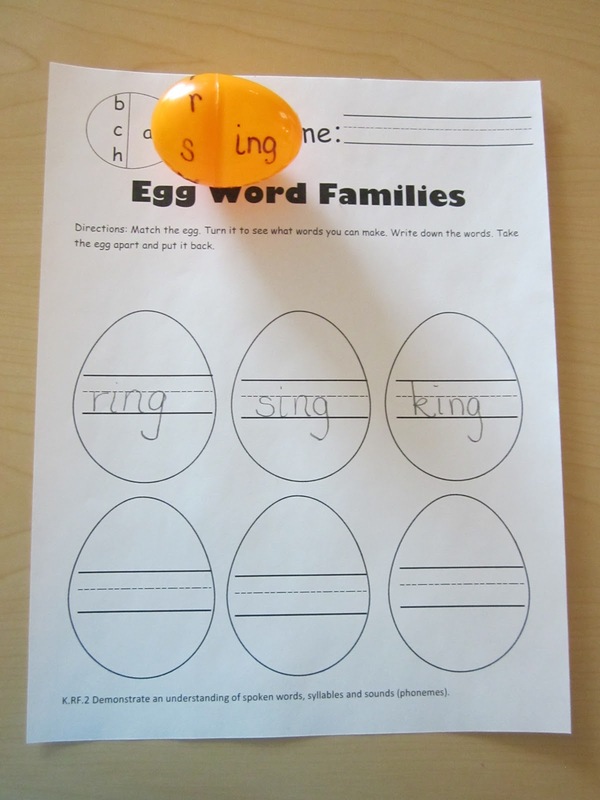 Last year, my EA made me eggs with word families and with numbers. 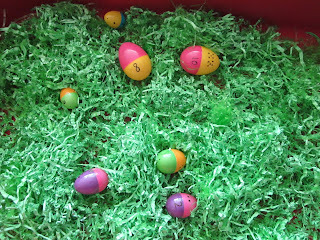 We hid them around the room and the kids found them and wrote them in their log. This year, I decided to put some paper grass in the sensory table and have the kids find them. For the word families, I seperated the eggs and had the kids find them and write them down on the recording sheet that I made. 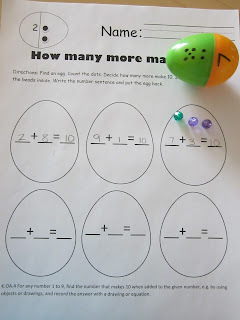 For the math, I put the eggs together, one side with a number (0-9) and the other side with the corresponding number of dots. 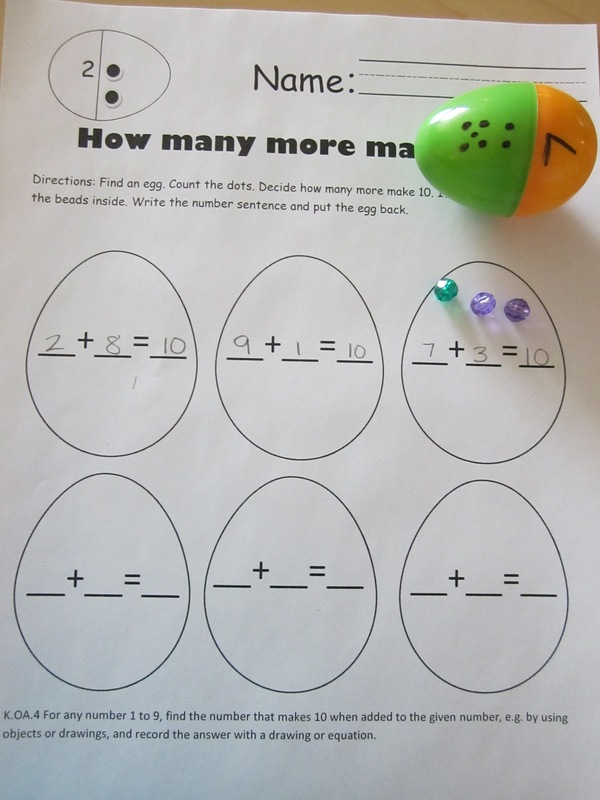 Once they found the egg, they had to decide how many more make 10. 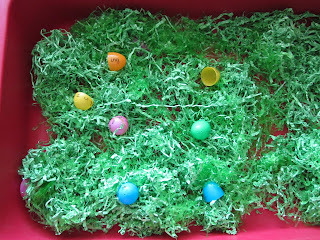 If they needed help, they could openup the egg and find the number of beads to make ten. The kids had a blast. 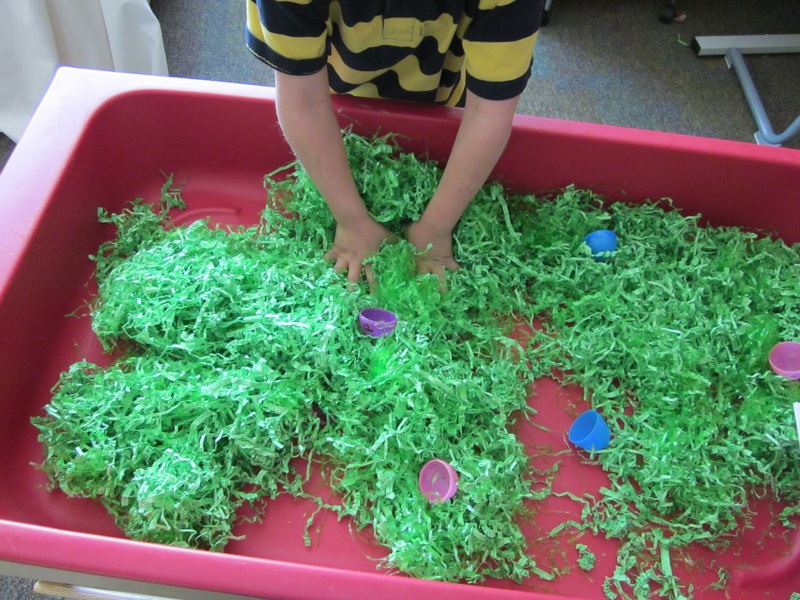 We talked about how the grass had to stay in the table and they did a great job! I will be using this center all next week. 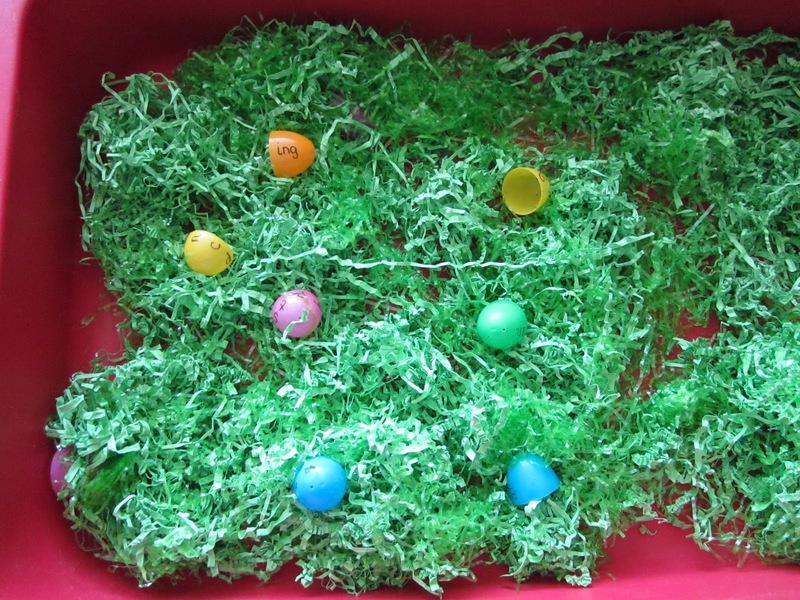 You can find the FREE Easter Egg Recording Sheets on my TPT store. Enjoy and please leave a comment if you like them!